Traeger vs Camp Chef: Which One is Best In This Pellet Grill Brand Showdown? The Pros, the Cons, and the Facts about Traeger and Camp Chef Brand Pellets Grills. Are you in the market for a new pellet grill? Are you undecided between a Traeger or Camp Chef brand pellet grill for your next purchase? Luckily for you, I’m going to break down the differences between Traeger vs Camp Chef brand pellet grills in this post. While Camp Chef does offer a variety of other types of grills, Traeger does not. We will focus on how they directly compete strictly in the Pellet Grill market. 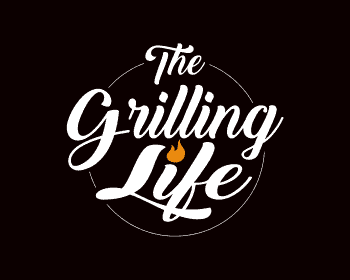 Before we dive right in, let me say a few words about each brand in general, and answer the most commonly asked question; what is a pellet grill? Both Traeger and Camp Chef are relatively new players in the BBQ arena as a whole. 1990 saw the establishment of the battle between Camp Chef and Traeger, which began mass-producing grills in 1988. While Traeger has always focused on the perfection of it’s patented wood pellet smokers and grills, Camp Chef is a jack-of-all-trades, carrying a multitude of outdoor cooking devices. For the sake of comparing apples to apples, we will only be looking at Camp Chef’s range of wood pellet burning grills. For the many outdoor cooks who are not aware of what a pellet grill is, here is a brief overview. Simply put, a pellet grill is an outdoor cooking machine that relies on burning hardwood pellets rather than charcoal, wood sticks or gas. Small cylindrical wood pellets are loaded into a hopper, which funnels into an auger device that feeds pellets into a fire pot in the bottom of the cooking chamber. A ceramic rod then ignites the pellets, and the entire process is electronically controlled. You just turn the knob to the desired temperature and walk away. That sounds both complicated and a little too easy all at the same time. It sounds too good to be true for outdoor cooks who are used to the hard work of stoking charcoal and wood continuously into their grill or smoker, and spending hours, sometimes overnight, monitoring cooking temperatures. But get this, that is precisely why the pellet grill was invented. John Traeger patented the pellet grill in 1986, during a time when gas prices were soaring, and consumers were returning to charcoal and wood stoves as propane alternatives. The result is a perfect marriage between the easy, quick heat of propane, and the rich flavor provided by natural wood smoke. After the Traeger patent expired in 2006, the industry has been flooded with competitors. To see a more in-depth look at how a pellet grill functions, and what results you can expect from them, read the following article by clicking on the blue link: What is a Pellet Grill? – An Introduction to Pellet Grilling. Let’s take a look at the Camp Chef pellet grill vs Traeger pellet grill. The pellet grill industry is experiencing a huge huge surge in popularity, and with that brings several leaps in technological advancements. With so many variables it can be hard to get a true apples to apples comparison. That being said, we are going to base our Traeger vs Camp Chef brand analyses on five factors. #1 We are going to look at the number of pellet burning models available from each manufacturer. #2 For the sake of low-temperature smoking and high temperature searing, we will look at the lowest and highest temperature settings offered and how accurate they are. #3 For those who want to be on the cutting edge of technology, we explore which grills are available with extras like WiFi. #4 Budget is the main factor in any decision, so we will look at the lowest priced grill available from each company. #5 Finally, we will consider each brands warranty. There are as many methods of grilling and smoking as there are cuts of meat to be prepared. Every outdoor chef has a favorite way to cook, and many of us have more than one machine available for different purposes. The need for variety makes this feature an important one when comparing Camp Chef vs Traeger pellet grills. Traeger currently offers twenty-one different models of hardwood pellet burning grills and smokers. This includes their nineteen residential and two commercial models but does not include the different finish options available on the different models. From the tiny and portable Traeger Scout to the fun pig shaped Lil’ Pig Grill, to the massive Large Commercial Pellet Grill Trailer, there is sure to be a grill among them to fit your needs and budget. Camp Chef now has ten different pellet burning grills available for purchase. This does not include their different finish options for each model. Also to be noted is that, unlike Traeger, Camp Chef does not focus solely on pellet grills and smokers. They offer a number of charcoal and gas grills as well. However, focusing just on their pellet line, they offer the ten models, all residential grade, from their smallest SmokePro SE to their largest SmokePro LUX. Clearly, Traeger wins in this arena. There is something to be said for specialization when it comes to offering a variety of pellet grill options. Because pellet grills are all Traeger does, they can experiment with many options. Camp Chef has a broader focus on a range of fuels, so not as many pellet burning products. Because these versatile pellet-burning machines can function as smokers, convection ovens, barbecues as well as grills, having a wide operating temperature range is critical. Sometimes you need to burn at the lowest possible temperature for the longest period of time, to slow smoke a large brisket. Other times you want to crank up the heat to sear steaks and burgers. Either way, you want to know the temperature is going to stay on your desired setting without having to babysit it. Traeger offers a selection of grills with different electronic temperature control devices. From their basic Digital Elite Controller to the latest WiFIRE® controller, the temperature range on any Traeger grill goes as low as 165°F and maxes out at 500°F. The Traeger Digital Elite Controller, which is found on grills like the Texas Elite, keep the internal cooking chamber within +/- 20 degrees F of the dial setting. Units equipped with the Digital Pro Controller, such as the Scout, have a typical temperature fluctuation of +/- 15 degrees F.
The newest WiFIRE® controller is found in the Timberline Series and can hold the temperature within an awesome +/- 5 degrees F.
Camp Chef doesn’t do very much crowing about the specifics of the digital temperature controllers on its pellet grills. Their units have a temperature range of 160°F, to a max heat of 500°F. All of their models are said to keep the temperature with +/- 10 degrees F of the dial setting, under optimal grilling conditions. They do boast of their Smart Smoke Technology, which provides two additional setting on the dial, Lo Smoke, and Hi Smoke. Under these settings, the actual temperature fluctuates within 15 degrees and varies the number of pellets being fed into the fire pot, in order to create the most smoke. It’s a little difficult to crown a clear winner in this category. While Traeger does offer the Timberline Series grills that boast the ability to hold temperatures within 5 degrees of the dial setting, they only offer that on two out of twenty-one models. The Camp Chef brand doesn’t offer the same level of precise heat control, however, all of their models are supposed to keep the temperature within +/- 10 degrees F of the setting. Put that against some of the Traeger grills, which can fluctuate around 20 degrees. Still, by virtue of the Timberline models, which cater to serious temperature control freaks, Traeger wins this round by a pellet. Pellet grills have only been on the market for the last 30 years. Even in their most basic form, they are a technological advancement to the outdoor cooking industry though. Electronically controlled augers feed pellets into the firepot based on automatic temperature readings. All pellet grills do that. What we are going to look at is the additional technology that is available in some units. Having been the first to patent the wood pellet grill, you would expect Traeger to stay ahead of the game. In most areas that seems to be the case, including the realm of technology. Not content to simply put the same type of controller on every model, they have continued to tweak the computerized heat controllers over the years. Their new line features the WiFIRE® controller, which doesn’t only keep the heat within 5 degrees, it also connects to your smartphone over Wi-Fi, so you can adjust the temperature and cooking time remotely from literally anywhere. Camp Chef tends to stick with what works. They developed a heat controller that keeps their average temperature fluctuation within 10 degrees. They use the same type of technology on of their grills and make changes to the grill shape, and added options. With several brands on the market offering WiFi enabled grills, they have yet to jump on the latest technology, relying instead on a customer base that values simplicity over gadgets. Some people love to be on the absolute cutting edge of technology. Others just want a grill that provides reliable heat. Whatever your preference, it is undeniable that the technology we have available will continue to advance, and be put to remarkable uses. For the use of mobile app controls, the winner in this category is Traeger vs the Camp Chef, which seems content to make the most of the older tech. For now. Let’s face it. Sometimes the price is the biggest factor when deciding on a purchase. Of course, you still want to get the best value for your money. Luckily, it’s hard to go wrong with either of these brands when it comes to value. So what is the lowest price unit for Traeger vs Camp Chef? With twenty-one models available, Traeger is all about options. The lowest price units they carry are both $299.99. The Scout Pellet Grill and PGT+ Pellet Grills were both made to be as portable as possible, considering that all Pellet Grills must be connected to an electrical source. The Scout weighs in at 45lbs, and gives you 184 square inches of cooking space, with a 4lb capacity pellet hopper. The PGT+ is just a little smaller, weighing 41lbs, with 173 square inches of grill space, and a larger 5lb pellet hopper. Camp Chef Does offer some similarly sized portable grills, but not in the pellet burning category. Their smallest pellet grill is the SmokePro SE Pellet Grill priced at $499.99. For the money, you get 429 sq. inches of rack space, with an 18lb hopper that weighs in at 110lbs. It has 2 rubber wheels to help you move it easily, though still not as portable as a tabletop grill. Traeger hits the mark in this round as well. Their lowest priced units are much less expensive than the cheapest Camp Chef Pellet Grill. Again, you can purchase smaller, cheaper grills from Camp Chef. Just not if you want to burn pellets. Both Traeger and Camp Chef have established companies that stand behind their products and are known for excellent customer service. In this regard they are so similar they do not need a real comparison. Both offer the same 3-year warranty. They both guarantee their products to be free from defect in all materials and workmanship (excluding paint and finish). They will fix any problems resulting from poor workmanship promptly. Neither covers normal wear of parts or damage caused by misuse, abuse, overheating and alteration. Traeger won this battle with 4/5 categories, the last being a tie. Camp Chef, though a great company overall, has a lot to catch up on if it wants to compete with Traeger on their home turf. Not counting the tie on product warranty, Camp Chef won 0/5 categories. So which pellet grill company is king between Traeger vs Camp Chef? When it comes to hardwood pellet burning smokers and grills, Traeger is the original. After the expiration of their initial patent, they have fought hard to stay on top of the industry they created. They offer the most grill models, the lowest priced units, and the most advanced technology. I think it should be stressed that although Traeger was the clear winner in this face-off, Camp Chef is still a formidable up and coming opponent in the pellet grill arena. The limited selection of grills they manufacture are well made, and function reliably. However, they will have to work a bit harder if they want to beat Traeger at its own game. I hope you enjoyed my Traeger vs Camp Chef face off for helping you decide between these two solid pellet grill brands. Which brand have you tried from this list? Which brand are you most excited to try? Are you going to be purchasing a pellet grill in the future? Or do you plan on looking at a gas or charcoal model?